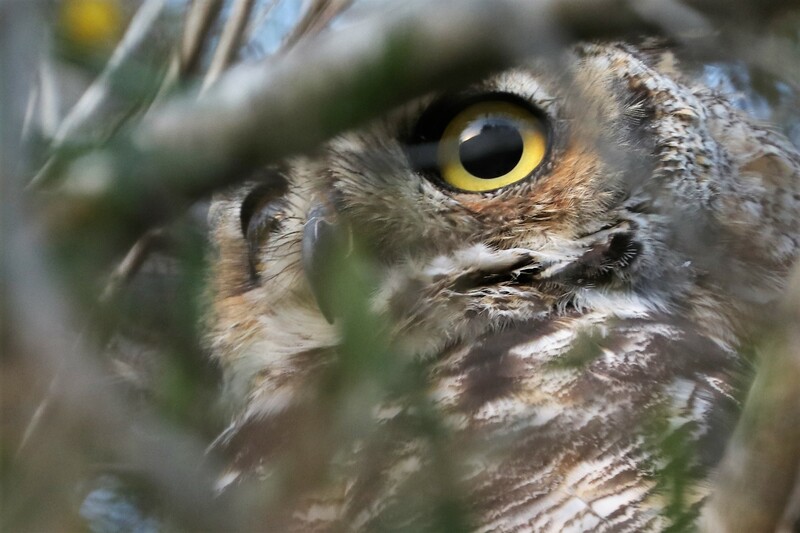 Honorable Mention – “Great Horned Owl” by Michael Hakimi. Portuguese Bend Nature Preserve, Palos Verdes, 2017. Canon 80D. So I’m walking my dogs and I get a call. I’d like to ask you some questions about your Artesia Blvd. listing, the realtor says. What would you like to know, I answer? She says, well, how many bedrooms does it have? I say, don’t you have the MLS listing, it’s all there? I lost it and I’m in a hurry, she answers gruffly. OK…well I hate to say this but I’m walking my dogs and one of the them just pooped and I have to pick it up…can you hang on? This is ridiculous, she blurts out, I’m in a hurry! Just hang on, I plead. Moments later I’m back and I tell her it has 2 bedrooms and 2 ½ baths. What color is the master bedroom, she asks with what I can only imagine is a straight face. What! Are you serious, I exclaim? My clients hate mauve, she responds. Well…I hate to say this but my other dog pooped. But I need to ask you more questions, she says in a building panic! Look, I say, it’s dark out and if I don’t pick up the poop immediately I’ll loose it to the darkness and these are good neighbors, and besides, I don’t think I can carry on a conversation with you and look at poop at the same time. She’s pissed now (no pun intended). This is ridiculous, she yells, I need to know the color of that bedroom right now…what the hell kind of a Realtor are you anyway?! Now I’m pissed. Look lady, I yell, (must be the New York in me) weather I’m looking at the poop or talking to you, I’M STILL DEALING WITH A PIECE OF…! CLICK. Ok…maybe I was just a bit unprofessional there but in today’s’ age of cell phones it’s possible to do business anywhere, anytime. The lesson taught to all you Realtors out there: walking your dogs might not be the best time to talk real estate on the phone!